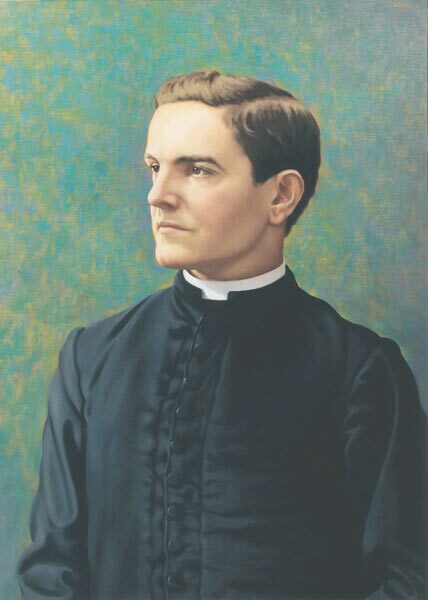 Thanks to the efforts of Father Michael J. McGivney, who was the assistant pastor of St. Mary’s Church in New Haven, Connecticut and some of his parishioners, a fraternal benefit society was established, based upon the principles of charity, unity, fraternity and patriotism. Our Faith teaches us to “love our neighbour as ourselves.” Members of the Knights of Columbus show love for their neighbours through many outreach programs and ministries, from assisting at funerals, supporting our schools and agencies which promote the Faith. Knights recognize that our mission and our faith in God compels us to act. There is no better way to experience love and compassion than by helping those in need, a call we answer every day. We can accomplish more than we have ever dreamed if we all work together. Members of the Knights of Columbus know of the importance to work together as a team. We stick together and support one another. That does not mean that we always agree or that there is never a difference of opinion. It does mean that, as a Knight of Columbus, you can count on the support and encouragement of your brothers as you work to make life better in our Parish and community. Father McGivney founded the Knights of Columbus, in large part to provide assistance to the widows and children. The Knights ensured that the families of past members would be looked after and cared for. This work continues, not only with the insurance program but in the countless hours of volunteer work that Knights provide to the Church and the broader community. Members of the Knights of Columbus, regardless of their nationality, are patriotic citizens. We are proud of our devotion to God and country, and believe in standing up for both. Whether it is in public or private, the Knights remind the world that Catholics support their nations and are amongst the greatest citizens. The Knights of Columbus of our Parish seek to support the initiatives and ministries of the Parish. We support our youth, offer times of fellowship with parish dinners, assist as altar servers for funerals and other liturgical celebrations, are members of various Parish councils and committees, help with maintenance of the church facilities, promote respect for human life by participating in the annual Life Chain and Roses for Life, and many other ways. In 2009, the Knights of Columbus launched the Coats for Kids initiative designed to keep children warm in harsh winter climates. With many families with children struggling in tough economic times, there was a clear need to provide warm winter coats to children. Since the program’s inception, the Knights of Columbus in North America have given away more than 167,000 winter coats to children in need. Our Council is proud to sponsor this initiative in our local community and are reaching out to other fraternal and social organizations to partner with us, so that every child stays warm this winter. We raised over $2500 for Coats4Kids this year. It’s calculated that we will be able to purchase about 8 dozen brand new winter jackets for young people that need them. This is a feat of cooperation from over 20 individual and corporate donor’s. If you feel that you would like to donate to this cause please contact a member of the knights or the parish office. Our monthly general meeting is the first Tuesday of month at St. Mary’s following the evening Mass. All Catholic gentlemen over the age of 18 can find brotherhood in the Knights of Columbus. Every Knight can answer your questions and to provide you with a membership form. God, our Father, protector of the poor and defender of the widow and orphan, you called your priest, Father Michael J. McGivney, to be an apostle of Christian family life and to lead the young to the generous service of their neighbour. Through the example of his life and virtue may we follow your Son, Jesus Christ, more closely, fulfilling his commandment of charity and building up his Body which is the Church. Let the inspiration of your servant prompt us to greater confidence in your love so that we may continue his work of caring for the needy and the outcast. We humbly ask that you glorify your venerable servant Father Michael J. McGivney on earth according to the design of your holy will. Through his intercession, grant the favour I now present (here make your request). Through Christ our Lord. Amen. Venerable Michael McGivney, Protector of the Family, pray for us!